There are two The Box Societe stores in Singapore, one within Jurong Point mall (1 Jurong West Central) and another at Northpoint City shopping centre (930 Yishun Avenue 2). 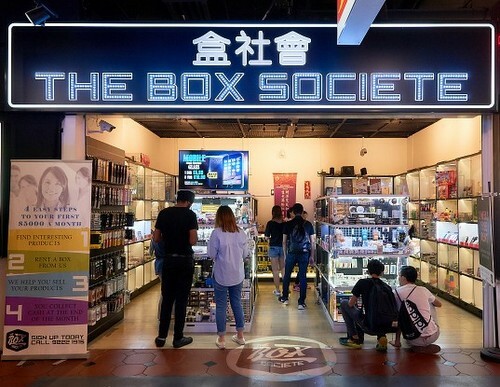 The Box Societe operates by offering small display boxes to entrepreneurs and other people interested in selling their products at the company’s retail locations. There are four steps to becoming a The Box Societe merchant. First, you need to find interesting products to sell. Then, for the products, you choose a display box from The Box Societe, who takes care of the actual selling. Finally, you receive your sales proceeds into your bank account on a monthly basis. Popular product categories that other entrepreneurs have put on display at The Box Societe locations include badge collections, fashion accessories, skin care products, sticker collections, hair products, and toy collections. For further information on the company, their box rental process, and more, the best source is their official website. The official website, at www.boxsociete.sg, also features The Box Societe’s contact information, in case you want to enquire about the opportunity via email or by telephone. You can also visit either one of the shops for details.